There is not officially spring until a new bronzer has been bought. Of course it has to be the latest release of this year, so much must have happend since last years product development. Or maybe not, but it feels good to believe it. Lately the new bronzing powders from Givenchy and YSL has been recommended here and there by beauty editors of glossy magazines. The bronzing from Givenchy is called Givenchy Croisière Healthy Glow Powder, and the name only sort of makes me want to try this out. According to beauty magazine Allure "This bronzer gives us a glow so believable, we can cancel our spray tan". 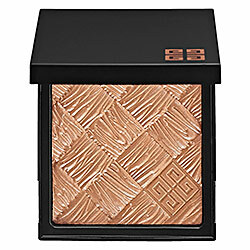 If I do not find a new one to rely on, I always turn to Nars bronzing powder in colour "Laguna". It is the best I have found sofar, and I know this is a very sought after bronzer and colour by many. It has no orange in it at all! The Multiple Bronzer in stick is also just great. According to Nars themselves this stick is "formulated to strengthen, support and repair the skin while creating an all-over warmth and contour for the entire face". I don´t know anything about the strengthening and reparing, but I do know that it gives you that dewy tanned look, which is enough for me. Everything else is a bonus. I must invest in one of these - maybe the YSL one ! Bronzer is massively important.. I love the bronzer!!!! (nars) It works wonders!!!! !